Today is the official new website launch date! We've updated the Holiday Treasures in school Gift Shop website. We offer an amazing school holiday shop program with many inventory free checkout options, registers, scanners, parent preview, online holiday shop and more. Brought to you by Fun Events Inc.
We hope you enjoy our new easy to use navigation menu's and design. 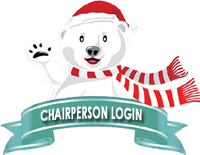 Schools, parents, families, students and shop chairs can take advantage of the Holiday Treasures of Wisconsin / Illinois modern online holiday shop program's advanced technology by selecting us to be your school's holiday shop provider.